Comment: House suffered water damage. Mitigation company pulled out almost all of the drywall and insulation on the first floor, entire garage (including ceiling), and part of the second floor. Require new insulation where old was removed. Comment: I live in a townhouse condo approximately 1300 square feet. The insulation in the attic is the original insulation from the builder in 1987. Need to add insulation. 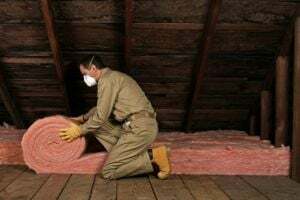 Comment: update attic insulation in existing home. entry to attic is through a small opening in closet ceiling. Comment: Adding heat/cooling to walk-in attic/bedroom. Need to insulate ceiling and some walls and dormer. Rochester Insulation Contractors are rated 4.65 out of 5 based on 1,165 reviews of 20 pros. Not Looking for Insulation Contractors in Rochester, MI?